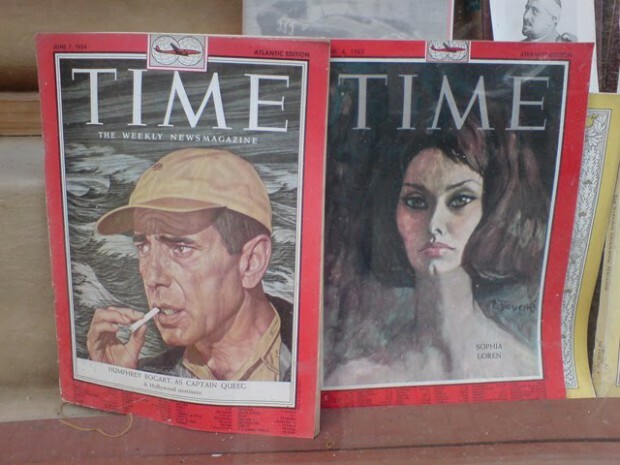 These two old covers of Time Magazine I saw in a window display somewhere in downtown Amsterdam. I’ve always liked actor Humphrey Bogart’s style of acting. It’s a pretty good portrait of him. Sophia Loren looks like she has an axe to grind. Maybe she’s mad with Bogart?